The Galapagos Islands are on many people’s bucket list, but everybody knows that travelling there is not cheap. This unique group of volcanic islands lies 1000 kilometres off the coast of Ecuador (to which they belong) in the Pacific Ocean. The wildlife on these mostly uninhabited islands is tame, and often found nowhere else. Moreover, each island harbours unique species of birds, iguanas, and other animals, which led Charles Darwin to formulate his theory of evolution in the mid-19th century. When you start planning a trip to the Galapagos, you realize that many questions need to be answered. When should you go? How long should you stay? How should you travel around? Do you need a guide? Here are the different factors to consider when planning a trip to those unique islands, followed by some tour company recommendations, and resources for further research. 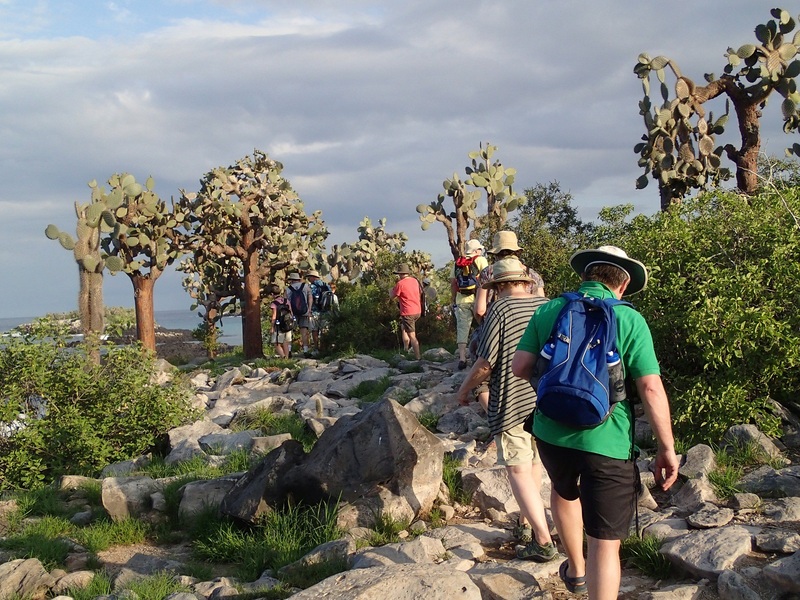 Most foreigners visit the Galapagos on an organized boat tour. This lets you reach more islands, especially on a one-week tour, since some of the islands are four to seven hours apart. The price of these tours varies depending on the type of boat, the guide, and of course the length of the tour. You can also organize a land-based trip, where you stay in hotels in one or more of the towns, and do day trips overland, or by boat, from your accommodation. Five of the islands are inhabited: Baltra, Floreana, Isabela, San Cristobal and Santa Cruz. Except for Baltra (where the main airport is located), these islands have at least one town with hotels or guesthouses. 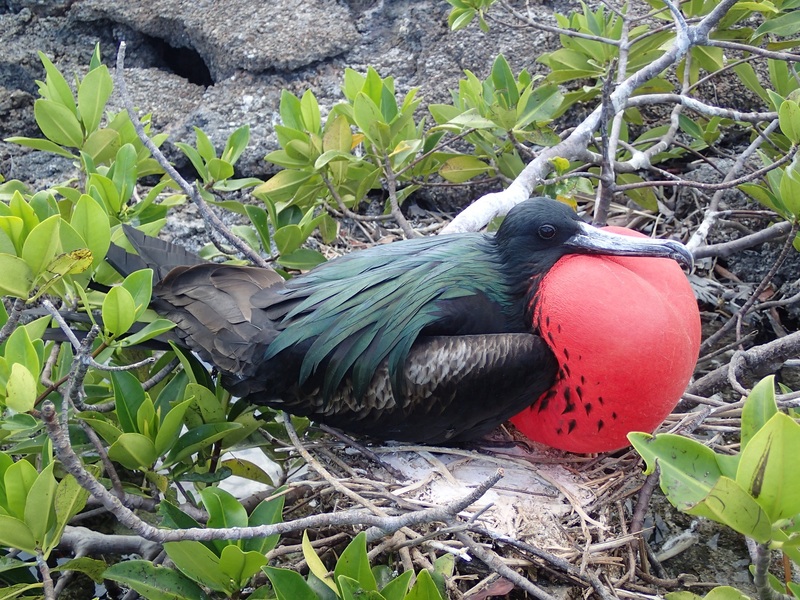 The total population in the Galapagos is around 30000, and the largest town is Puerto Ayora, on Santa Cruz. The majority of Ecuadorian visitors opt for land-based trips because they are cheaper. You can book the flights and hotels yourself, but G Adventures offers a land-based tour if you would rather go that way. There is a large number of boats plying the islands, of vastly different sizes and levels of comfort. You get what you pay for. 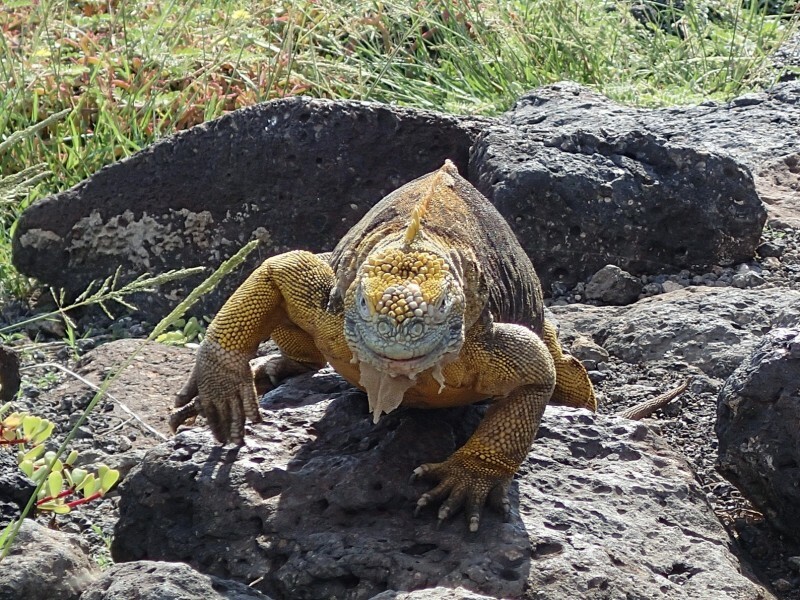 Although it is possible to save some money by booking a Galapagos tour once you arrive in Ecuador (if you have an extra week to spare), be aware that the better boats and guides are booked many months in advance. We booked our cruise with Enchanted Expeditions over six months in advance and got the very last cabin on the 16-passenger boat, for the date we wanted. The boats vary from smaller yachts and motor sailors (sailboats) of 8 to 20 passengers, to 90-passenger cruise ships with all the amenities. Comforts that add to the price of the cruise are things such as private bathrooms and air conditioning in the cabins, as well as size of the cabins. And of course the level of expertise of the guide. If you are really interested in learning about the wildlife and geology of the Galapagos, you’ll want a guide with a higher level license. There are basically three levels of naturalist guides. Level 3 are the most knowledgeable: bilingual guides with a college degree in biological sciences, who undertook an extensive course given by the Galapagos National Park Service and the Charles Darwin Research Station. Level 1 guides usually lack training, knowledge, and English-speaking ability. Level 2 guides are generally decent but don’t have the same depth of knowledge as Level 3. The length of an organized Galapagos trip usually varies from three to seven full days in the Islands. 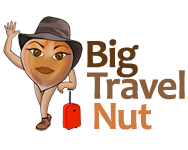 Beware that the length listed by tour companies includes the day you fly in and out of the Galapagos, and possibly a number of days spent on mainland Ecuador. Read the description carefully to ascertain exactly how many days you will have in the Islands themselves. For me, spending seven days cruising around the Islands is a good length of time. Three days is definitely too short. A few companies offer longer trips, up to 15 days in the islands (for example Galapagos Travel). The price of the trip is of course directly proportional to the length of the cruise. An other option to spend more than a week without breaking the bank would be to combine a one-week cruise with some days on land staying at a hotel. The Galapagos can be visited any time of the year. The animals you see (or don’t see) depend on the month you visit. June to December is considered the “dry” season, when it rains less, with cooler air and water temperatures. The sea is rougher during these months, which you may want to consider if you get seasick easily. Although it rains less, it is usually more overcast and often shrouded in a mist called garúa. January to May is the wet season, even though it is sunnier than the dry season. It is also hotter, the sea is calmer, and you probably won’t need a wet suit to snorkel. I know, it’s confusing! To give you an idea, we went in early March, and only had a rainstorm on the first day. The rest of the time it was mostly sunny and very hot. The following video is a little long, at five minutes, but it will give you a good idea of our experience. Enchanted Expeditions: Company based in Quito (with an office in Miami) specializing in tours to Ecuador and the Galapagos. Very good pre-trip service, two different small boats, naturalist level-3 guides. G Adventures: Company based in Canada. 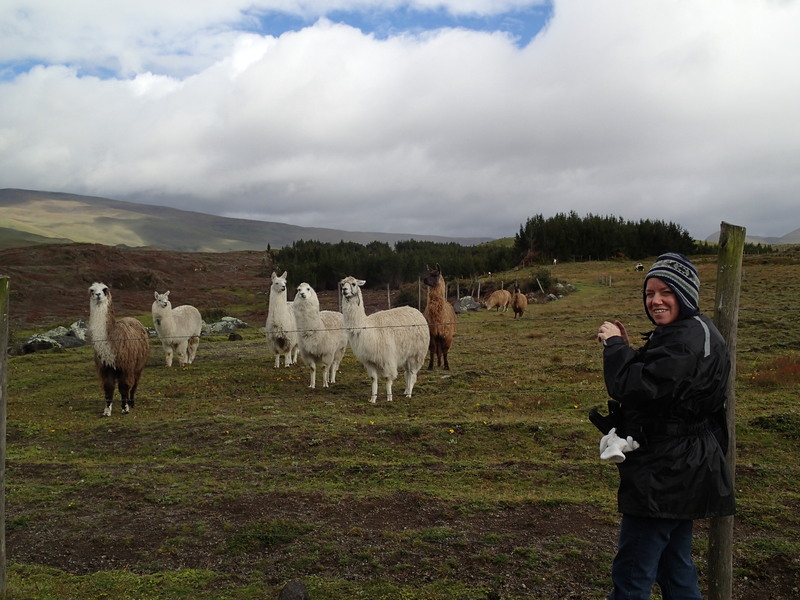 One of the first to offer small-group adventure tours to South America. 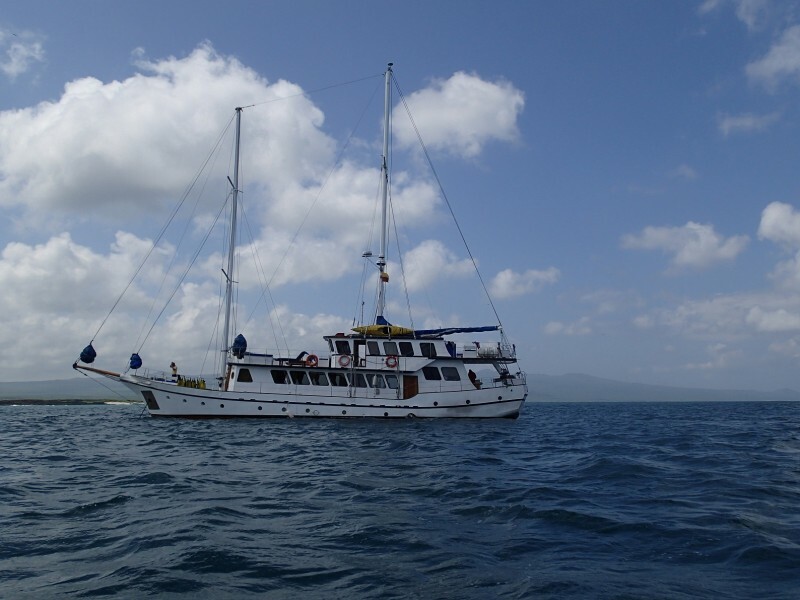 Various boats and itineraries, including a land-based tour, and land-based “add on”. Surtrek.com: This tour company has a useful page on what you can see during each month. Are you planning to visit the Galapagos some day? Share in the comments. We went to Ecuador (Sacha Lodge in the Amazon) and the Galapagos about 3 years ago, and it was an amazing experience. I watched your video (from beginning to end) and it brought back lots of memories. We were in the same places: the beach with sea lions, the water geyser, Turtle Cove, and all the birds and iguanas – so familiar. Nice video – you like iMovie? iMovie is all right. You can learn it quickly and edit some simple videos. I may one day graduate to something more sophisticated like Final Cut Pro if I start doing video more seriously. The seasickness scares me… I went on a sailboat tour of San Blas in Panama and I am pretty sure I never want to have such an experience again. I would definitely opt for the overland tour – seeing less but not being so sick all the time! Very informative and helpful post! Having the right guide can make such a difference in one’s experience. Is there a significant price difference among the levels? I’d love to get to the Galapagos sometime soon, given the abundance of wildlife there. Hi Dave! That’s hard to tell since the guide services are packaged with the rest of the tour. (A given company tends to use guides of the same level, and don’t always tell you about it unless you ask). My impression is that most of the price difference between tours is due to the boat (how big and luxurious it is), not the guide. Land-based tours are cheaper than boat tours. Hi Calli! We were there in March which is the hottest month, but despite the fact that it’s supposed to be rainy season, we only had brief heavy rain on our first afternoon. We saw most animals, except for the giant albatross and hammer shark. The blue footed boobies were not nesting then so they were on the sides of the cliffs, rather than the trail, making them hard to photograph. And the penguins were rare because they prefer cooler waters (June to December). It will be great no matter what time of the year you go, so just pick a month when you can make a longer trip of it (at least 7 days). Yes, it’s pricey. That’s why I waited for a special occasion (milestone birthday) to do it with my best friend! How did you find Isla de la Plata? It took me two trips to Ecuador to actually make it to the Galapagos as well! Looks like a fabulous place for wildlife. I’d like to get there sometime but I’m not very keen on cruising – I think I’d rather stay on land even if it means not seeing so much. My boat was so small (16 passengers) that it didn’t feel like a “cruise”, but more like an adventure! I recently watched a documentary about the Galapagos islands. It´s such a beautiful area. They talked about the fragile ecosystem and that it´s affected by the tourists a lot but they try to protect the environment. Hopefully it works. It seems to be working Christina! There is still plenty of wildlife above and below water. It is a very regulated national park. They charge $100 US just to enter, and this money goes to help maintain the “park”. Yes, pretty wildlife, and also easy to photograph wildlife, a definite plus for amateur photographers. Unlike most places in the world, the wildlife here is not afraid of people at all! Yes, you can find accommodation, restaurants, even souvenir shops on some of the islands. Our group stopped for beers and shopping on San Cristobal! It is no doubt worth a visit. I didn´t though because it was 2 months in Colombia or one week in Galapagos…so I didn´t think twice. Really expensive! And a few months later I saw a few of the islands from a distance on my way to South Pacific (on a sailboat) but we didn´t stop again for the same reason. Great tips and nicely written post! I’m not usually a tour person, but these boat tours look pretty cool. I’m not a tour person either, but in some cases, like the Galapagos, it’s the best way to learn and see a lot in a short time. I would love to visit here, your photos look fantastic.the benefit of a tour somewhere like here is the extra things to be learnt and opportunity to ask questions. Some great research can begin from this article. Would love to visit the Galapagos! Thanks for the tips! 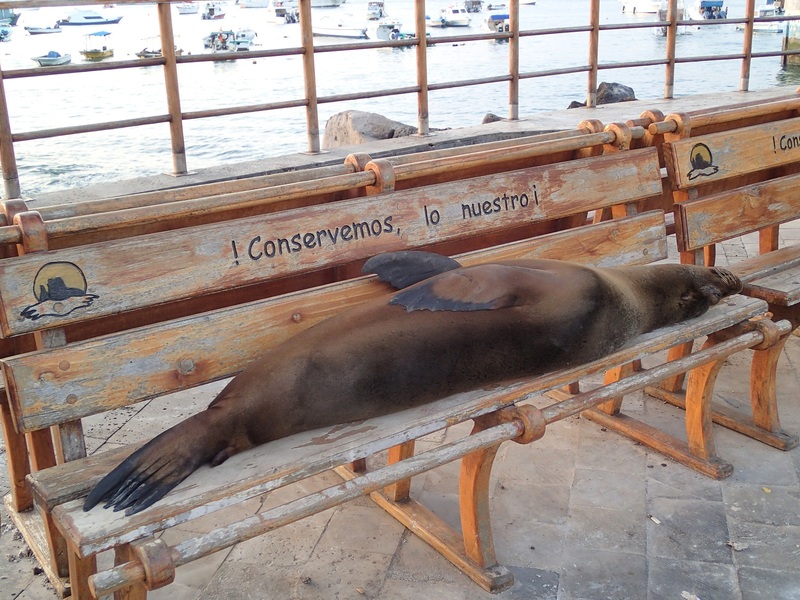 Love the picture of the sea lion on the bench too, needless to say: he’s a relaxed guy! Amazing! We visited Galapagos on a 10 day cruise a few years ago and it was indeed the trip of a lifetime. We chose a BUDGET boat (no hot water, hoses for showers) but we had a blast! I recommend booking last minute in Quito for better deals. Wow, you couldn’t be luckier – this is such a difficult place to get to, it’s so remote, and therefore so expensive. I would love to go, but as a student, it’ll have to wait a few years. Looking for a tour to South America?